We live in an age of sequels, but not all sequels are created equal. Are you playing a true sequel, or are you peeking a prequel? A reboot, expandalone, or maybe a threequel? Don’t get piqued, people. Our sequel technique will sort everything out. 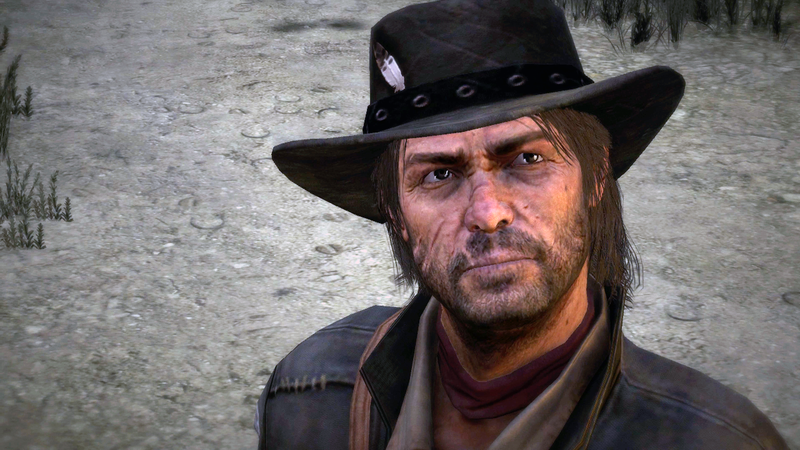 Here, in no particular order, are the 12 types of video game sequel. Except for “threequel,” because that’s not actually a thing. This is the most straightforward of the sequels. It’s just another chapter that picks up after the most recent one, and continues the story. A sequel doesn’t have to be the second game, it just has to be the next one. If it is the second one, it likely wasn’t planned out when the writers were doing the first one, though it could’ve been a twinkle in the eye of someone in some writer’s room. It almost always has a number in the name, indicating that you will be getting more of the thing you liked. Examples: Basically any game with a number next to the title. Sometimes a game comes out, does fine, and that’s that. Years, perhaps even decades, pass. Then, some studio executive somewhere decides to resurrect it and give it another shot. Often the new game will be made by a completely different developer than the original. The announcement seemingly comes out of nowhere, and is often met with laughter or disbelief. Oh, neat, I remember that. How random. While released at a later date, the prequel goes back in time before the events of its predecessor. This can be useful if, say, many beloved characters have died in the main timeline, as a prequel lets everyone go back to a time when they’re still alive. Also allows the writers to explore familiar characters without worrying about maintaining the timeline of events established in the first entry. The Trilogy Midpoint is a sequel that, unlike its predecessor, exists as an obvious part of a larger trilogy. While the first entry had a clear beginning, middle, and end, the Trilogy Midpoint ends on a cliffhanger that leads directly into the next entry. Many long-running series eventually reach a point where it is no longer elegant to keep numbering sequels. At this point, the games will continue along the same trajectory, but will eventually just drop numbers from the names of new entries. The numbers are commonly replaced with a subtitle, when previous games had a number. An extended universe spin-off is a game that is often referred to as not being a “mainline” sequel. It often appears on a different platform or in a different format than its predecessors, and might tell the story of a side character. These games could also be based on a movie or TV series, and “officially” tie in with that story. Examples: Tales from the Borderlands, The Amazing Adventures of Captain Spirit, the Dragon Age Facebook game, The Assassin’s Creed side-scrollers, Star Wars: The Force Unleashed, a billion other licensed mobile and social games. Spinoffs can occasionally become their own series with their own sequels, a la Forza Horizon. The Expandalone is a recent addition to the canon. It takes what would previously have been a downloadable expansion and carves it off from the main game. You can buy it as a separate thing, though it always arrives in the wake of a bigger, mainline entry. Sometimes a new entry in a series is so dramatically different from the past ones that people assume it’s a reboot, when it in fact is not. The characters and world share continuity with the last entry, but the game itself is so different that it almost feels like the start of a new series. The Polarizing Re-Imagining That Is Still Technically A Sequel (PRITISTAS) usually happens when a more modern developer gets the license to a beloved old series and sets about making a game in that world aimed at modern players. While the PRITISTAS is indeed polarizing, that doesn’t necessarily make it a bad game. Just different. The Spiritual Successor is a game that is a sequel in everything other than name, setting, and cast. It might be made by the same developer as the original, or it might be made by someone else. It’s code for We’re making another one of those games you like, but for legal reasons we can’t actually call it one. Sometimes game studios are unable or unwilling to make a sequel, so fans have to go ahead and do it for them. Completed Fan Sequels are rare, mainly because fan game development can be so legally risky and fraught. You’re always just one cease and desist letter away from closing up shop and losing all of your work. That makes the good ones all the more precious and interesting, of course. Examples: Black Mesa (technically sort of a fan reboot), all those game jam versions of Half Life 2: Episode 3, Pokémon Uranium. The next time you’re playing a game, ask yourself: Is it a trilogy midpoint? A Spiritual Successor? Is it a Polarizing Re-Imagining That Is Still Technically A Sequel? Is it some other category that wasn’t included on this list? Or is it… could it be... a brand-new thing with no precedent or predecessor? Nah, seems unlikely.